Home > Blog > Display > Top 10 Books with the most checkouts! 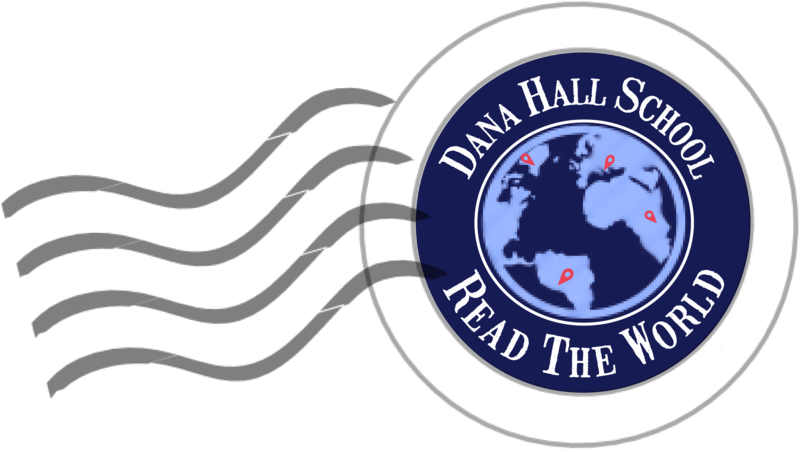 Dana Hall students are very lucky to read whatever they want, meet many different characters, and go on adventures. What are the most popular books among the Dana Hall students? 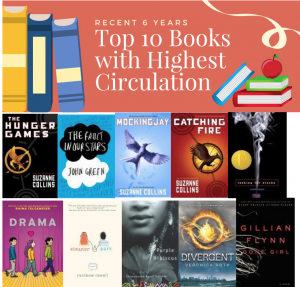 Let’s see the Top 10 books that have the highest circulation. The Hunger Games is a trilogy of young adult dystopian novels written by American novelist Suzanne Collins. In a future North America, where the rulers of Panem maintain control through an annual televised survival competition pitting young people from each of the twelve districts against one another, sixteen-year-old Katniss’s skills are put to the test when she voluntarily takes her younger sister’s place. The Fault in Our Stars is the sixth novel by author John Green, published in January 2012. Sixteen-year-old Hazel, a stage IV thyroid cancer patient, has accepted her terminal diagnosis until a chance meeting with a boy at cancer support group forces her to reexamine her perspective on love, loss, and life. Mockingjay is the third book in Suzanne Collins’s phenomenal and worldwide bestselling Hunger Games trilogy. Catching Fire is a 2009 science fiction young adult novel by the American novelist Suzanne Collins, the second book in The Hunger Games trilogy. By winning the annual Hunger Games, District 12 tributes Katniss Everdeen and Peeta Mellark have secured a life of safety and plenty for themselves and their families, but because they won by defying the rules, they unwittingly become the faces of an impending rebellion. Drama is a graphic novel written by Raina Telgemeier. Callie, the main character, rides an emotional roller coaster while serving on the stage crew for a middle school production of Moon over Mississippi as various relationships start and end, and others never quite get going. Eleanor & Park is the first young adult novel written by Rainbow Rowell, published in 2013. “Set over the course of one school year in 1986, this is the story of two star-crossed misfits–smart enough to know that first love almost never lasts, but brave and desperate enough to try”–Provided by publisher. Purple Hibiscus is a novel written by the Nigerian author Chimamanda Ngozi Adichie. Purple Hibiscus is set in postcolonial Nigeria, a country beset by political instability and economic difficulties. The story is told through Kambili’s eyes and is essentially about the disintegration of her family unit and her struggle to grow to maturity. Divergent is the debut novel of American novelist Veronica Roth, published by HarperCollins Children’s Books in 2011. In a future Chicago, sixteen-year-old Beatrice Prior must choose among five predetermined factions to define her identity for the rest of her life, a decision made more difficult when she discovers that she is an anomaly who does not fit into any one group, and that the society she lives in is not perfect after all. Gone Girl is a thriller novel by the writer Gillian Flynn. On a warm summer morning in North Carthage, Missouri, it is Nick and Amy Dunne’s fifth wedding anniversary. Presents are being wrapped and reservations are being made when Nick’s clever and beautiful wife disappears.